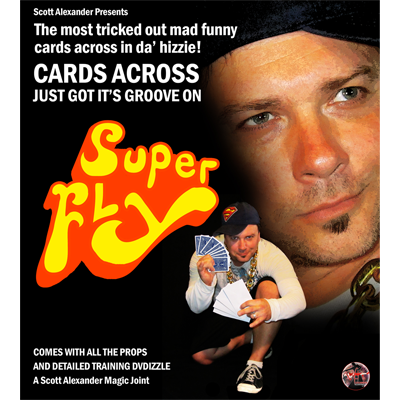 Today, when you order "Super Fly by Scott Alexander", you'll instantly be emailed a Penguin Magic gift certificate. You can spend it on anything you like at Penguin, just like cash. Just complete your order as normal, and within seconds you'll get an email with your gift certificate. He then takes ten more cards and goes into the audience to have three of them selected. He seals these ten in an envelope himself, which is given to another spectator who hides them in his pants too. Again you emphasize that you never touch the cards, even during the selection process! Then the three selected cards, and ONLY the three selected cards take a hilarious flight from Guy #1's envelope to Guy #2's. This is an easy to do, outrageously fun, eleven minutes worth of solid comedy magic! You can play this jokes as cheeky or as innocent as you want. 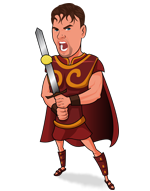 Customize the presentation to play for kids by putting the cards under their hats, or in the guys pants for the rowdiest adults. The presentational choices are limitless. Yet, the method is so easy to master yet so diabolically clever you won't believe how much mileage you can get from just this one routine. Scott's version of the classic cards across is the funniest, most magical to date. I have to say when I first saw Scott Alexander perform this in his second penguin live lecture I knew someday Ilit would find a home in my stage repertoire. Like many of Scott's routines when you look in the box you say "I paid how much for this?" The value is not in the pieces that make up the effect but the whole routine. This is a perfect routine that with a little tweaking can fit in adult shows or family shows. This is one of THE BEST effects I have ever purchased. You get a full routine and ALL the props. This is a PROFESSIONAL routine, fully scripted and perfect. Bought this to go in my B show as I needed an easy routine that is super funny and easy to learn. This is it! Just did this again the other night and I forgot how much I love it. The magic is very strong!! !